Family in the world of Supernatural means unending devotion and sacrifices that go beyond the normal lengths, often resulting in death or damnation. 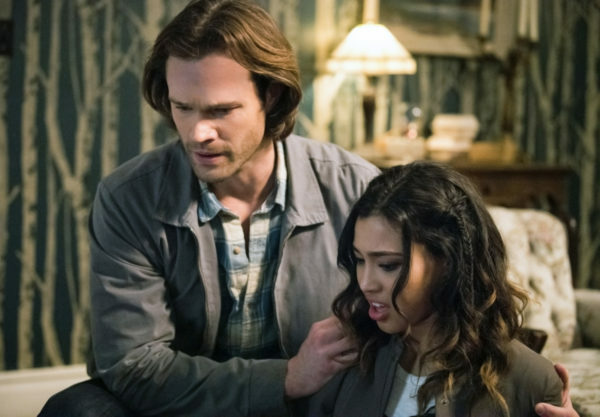 The latest episode proved that this is not confined to just the Winchester family, though I fear the end result of these sacrifices might not result in a raising from the dead when it’s all over. At first I was confused as to why the preview included Dean’s “Dad’s on a hunting trip” line, but when Sam used it as a motivation for Dean to take the case it because clear. Although, I’m sure every Supernatural fan could have noticed the mirroring of the line even without the reminder. I have always liked the twins, Alicia and Max. They seemed to be interesting characters when we met them the first time and now, getting a deeper glimpse into their family dynamic and getting to meet a version of their mom Tasha, we learn even more about the lengths of devotion the siblings have for one another. I guess, like Dean and Sam, you learn to rely on each other a lot because your brother or sister is the only other person who can truly understand your situation. And even though it damned his soul forever, I understand why Max made the choice to put on the ring and bring back his sister. He cannot live without her, and if there’s a way he can have her beside him for a little while longer, he is going to take it. I commend him for giving her body a hunter’s funeral, though with her heart encased in the straw doll it may end up being unneeded. I wonder if we’ll see them return again, having to confront the outcomes of Max’s actions. 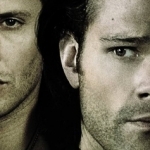 The Winchesters have their own family drama to deal with, along with helping the twins. First there’s the matter of Cas and the evidence that he’s being manipulated by the baby. Not even born yet and Lucifer’s offspring is already pulling the strings in his own little power game. So, at some point Dean and Sam will have to deal with that. I do wonder how they’re going to react when they find out that not only is Lucifer still alive, but Crowley’s the one who kept him that way. And what might the King of Hell do when he realizes that Lucifer is no longer bound? Because you know he’s going to break the binding before this season is over. So much drama! 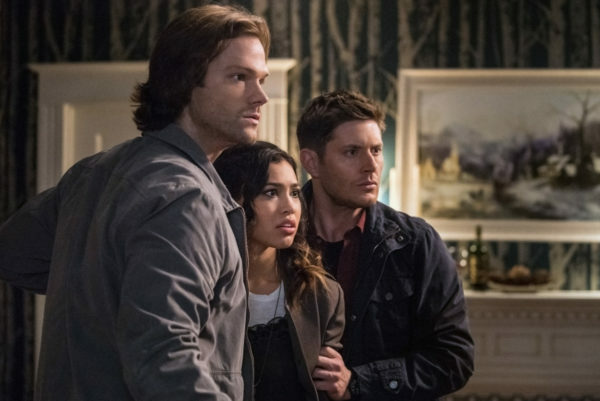 Also, the Winchesters will soon learn that they have to deal with their mother being caught in a dangerous situation as well. I knew that working with Ketch, though fun to watch, would end in a face-off between the Winchesters and the British Men of Letters. 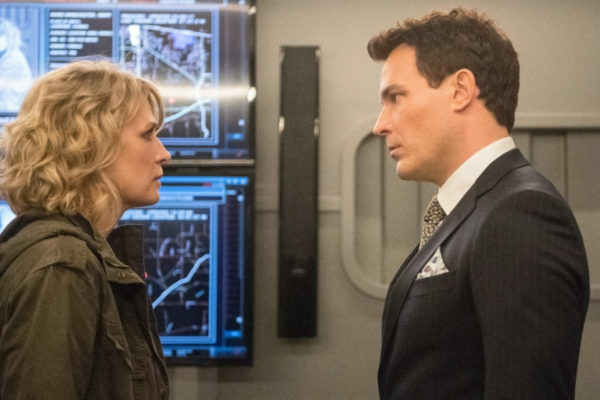 Mr. Ketch is a very black and white thinker, and despite his growing appreciation for Mary, he will eliminate those that need to be taken care of. That includes every hunter associated with Dean and Sam, including Mary. And now, with Toni Bevell returning to the scene, the danger has amped up even more. 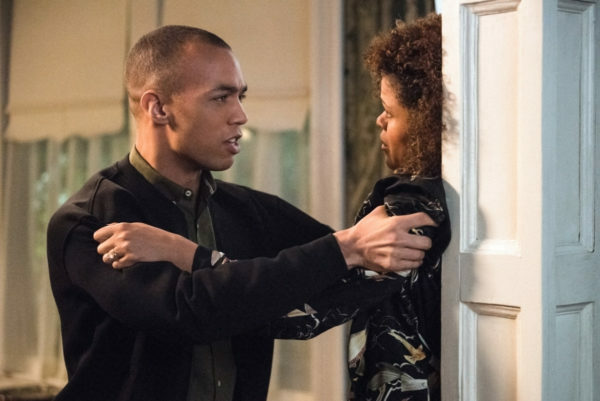 I hope the boys are able to take care of her, not only for what she did to Sam, but also what it appears she will do to Mary. 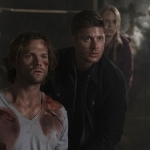 All in all, the various threads of the season are making their way toward a joining together and leading us to what promises to be a very tense, yet exciting season finale where Dean and Sam will find enemies from multiple directions. I hope Mary will survive because she hasn’t had nearly enough time reconnecting with her boys. Dean needs his mom, he’s already lost so much time already. Let there be at least one point of light in the Winchester darkness.